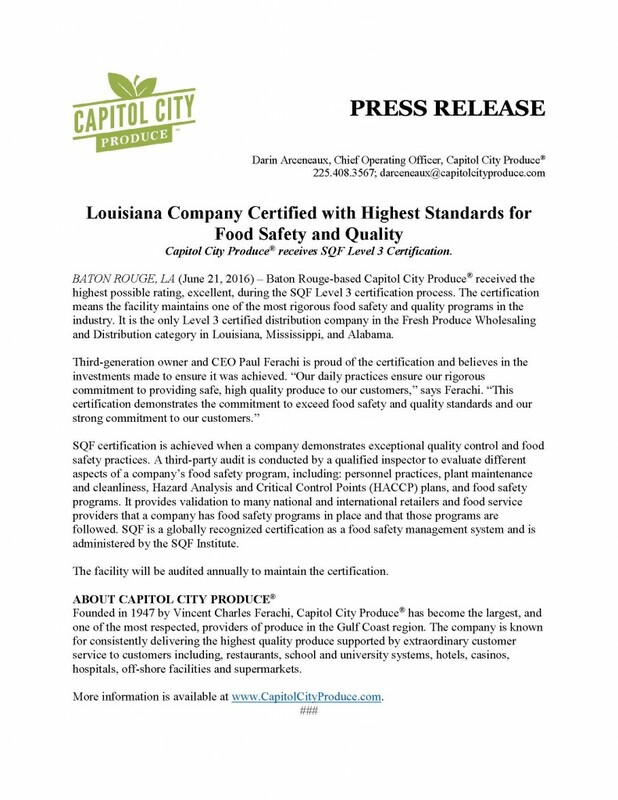 Team Capitol City Produce announced that they have received the highest possible rating, excellent, during their SQF Level 3 certification process. Attached please find a media release they communicated to their local markets. Sharing this great news locally is what separate them from their competition.